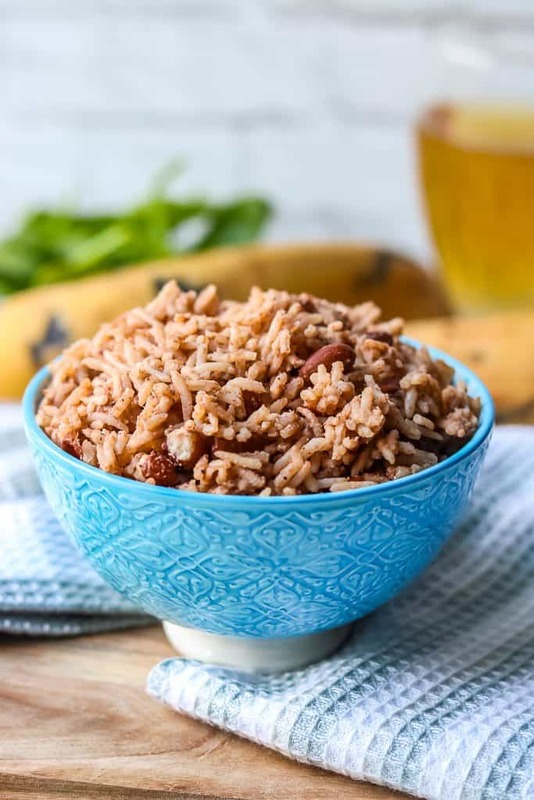 Instant Pot Haitian Rice And Beans – Red beans and rice is a popular dish in Haiti. Traditionally prepared with Haitian Epis (Haitian Seasoning Base), and served throughout the year. The flavors in this Haitian red beans and rice is as bold as any flavors you will find in other Haitian recipes. This delicious and nourishing dish is an instant pot version. 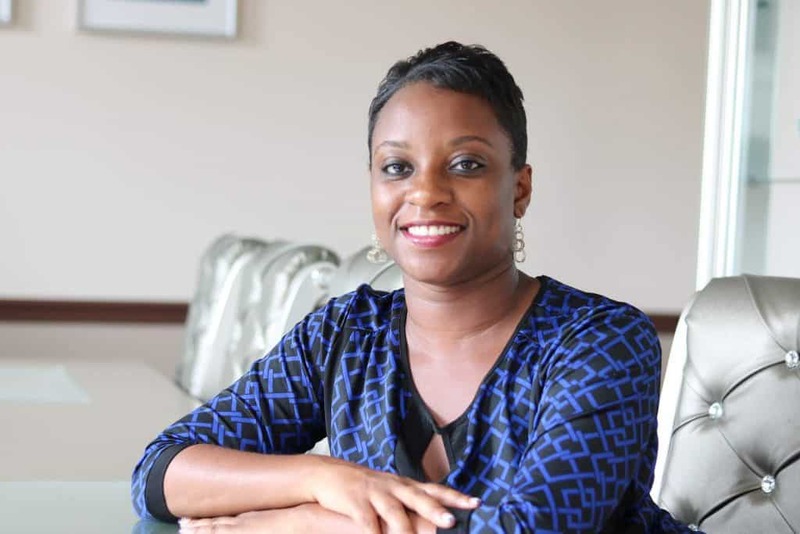 Thanks to pressure cookers, Haitian rice can be made in a matter of minutes! Haitian rice and beans can take hours to make. More specifically, it is because of the amount of the time it takes to cook the beans (2-4 hours). I pressure cook the beans in the instant pot in just a fraction of the time it would take to cook it on the stove. We’re talking about 20 minutes for the red small beans to cook. Why Does This Instant Pot Haitian Rice And Beans Work? Number one reason – No need to presoak the red small beans as they will be pressure cooked. Everything is made in the Instant Pot. No babysitting necessary. The automatic program does the work for you. You can also use canned beans to make this rice and beans; however, the red tone color from the beans allow the rice to have a reddish-brown hue when cooked. Typically, Haitian rice and beans can take up to six hours to make. Why? Well, the beans take forever to cook. With this version, the rice is cooked in about 35 minutes from start to finish! In the end, you are left with authentic Haitian flavor, and the rice and beans are cooked from scratch. 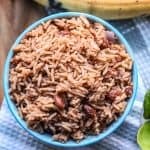 How To Make Instant Pot Haitian Rice and Beans? To make this rice dish, you will need the following ingredients: small red beans, basmati rice or jasmine rice, onions, better than bouillon or Haitian epis, water, ground cloves (I purchased mine from Aldi), garlic, olive oil, and coconut milk. First, add the beans and pressure cook in the Instant Pot (Pictures 1-2). Cook for 20 minutes, then quick release. Drain using a strainer but reserve the water (Picture 3). Wash the rice until the water is clear – should be about 3 washes. This will remove extra starch. Set aside. On the instant Pot, click the sauté setting button and adjust the time to 5 minutes. Add the oil, garlic, and onions. Cook for 1 minute or until fragrant, then add all of the other ingredients minus the water, cook for about 2 minutes, but stir ones (Picture 4). Add the water from the beans, then coconut milk. Stir (Picture 5). Add the rice. Stir. Cover with lid. Turn the steam release handle to “sealing”. Click on the “Rice” setting button; this will cook the rice for 12 minutes. Fluff and serve warm with your choice of meat and vegetables. Enjoy! 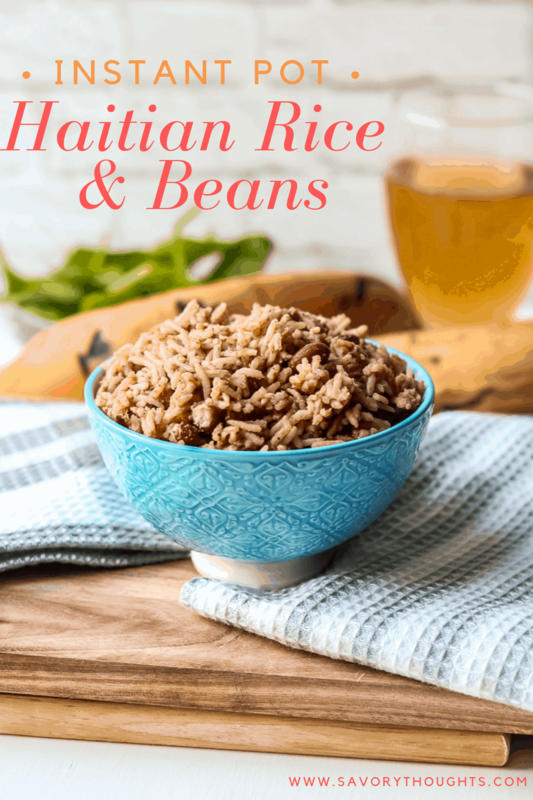 Did you make this Instant Pot Haitian Rice And Beans recipe? Tag me on Instagram or Facebook and please give it a star rating below! SAVE THIS INSTANT RED BEANS AND RICE RECIPE TO YOUR PINTEREST BOARDS! In the Instant Pot (IP) add 4 cups water and cook the beans for 20 minutes on high pressure; turn the steam release handle to sealing. Using a strainer, drain the beans and reserve the water. On the IP, click on sautee, set timer for 5 minutes. Add the oil, garlic, and onions. Cook for about 1 minute. Add the beans and stir once. Cook for a couple of minutes. Add the rice, stir. Cook for another minute. Add water and coconut milk, stir once. Cover, seal, and press the “Rice” setting. Cook for 12 minutes (do not exceed as you do not want the rice to overcook). Quick release. Fluff and serve warm with your choice of meat or vegetables. Enjoy! Which beans can you use to make Haitian rice and beans? 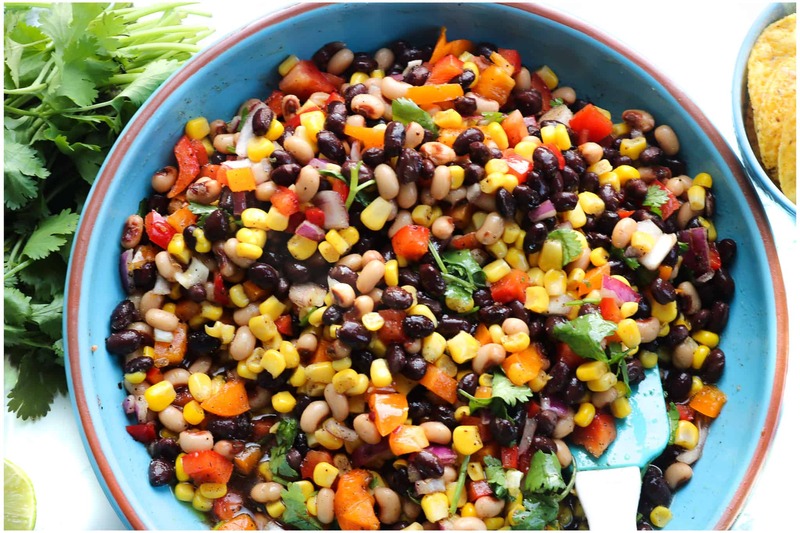 You can use red kidney beans and black beans to make this dish. Haitian rice and beans can also be made with sweet peas too. I personally love it with black beans and served with fish. If you cooked the beans in the IP for the time suggested, and the beans still turn out hard, cook it again on high pressure for additional 5-10 minutes depending on how soft/hard the beans are. Sometimes when making I make beans over the stove, to expedite the cooking, I would add ½ teaspoon of baking soda. This helps the beans to cook faster – something I learned growing up. Can you use vegetable broth to make the rice and beans? Absolutely. However, you may not get that “traditional” color Haitian rice usually have. Adding vegetable or chicken broth will only enhance the flavor further. It does not hurt to try it. Be mindful, to keep it as authentic as possible, water is best as we do not usually use vegetable or chicken stock/broth when making our meals. Such broths or stocks are used when it is directly from cooking meat or vegetables. Not all beans are created equally. I used small red beans because it is my personal preference. However, if using kidney beans, pinto, or black beans, the cooking time may vary. I love rice and beans! I didn’t know it would take so many hours to cook it the traditional way. That makes this easy instant pot version even better! It can take forever. Yes, no more waiting for ages to eat. I do not have an Instant Pot, but I do have a pressure cooker. I will adapt to make this work. However, I will pass this along to my daughter. I know her family would love this. isn’t the instant pot the best? 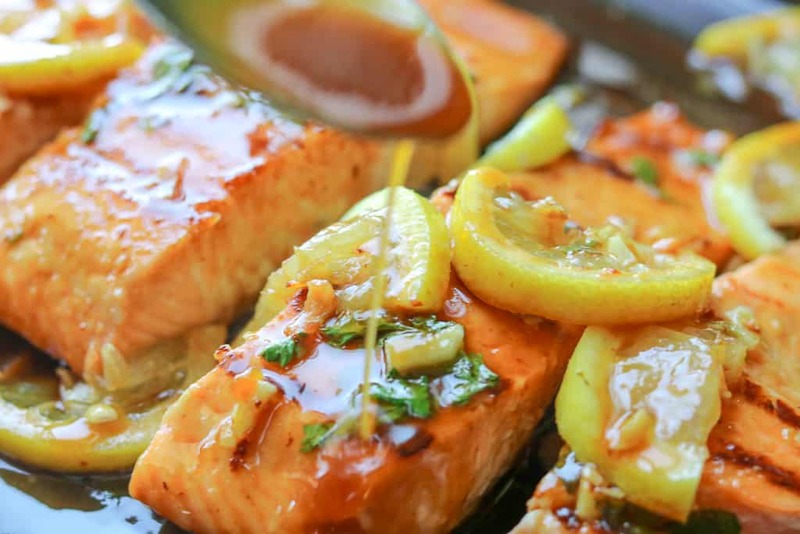 i love that we can create such delicious dishes that are delicious and easy. this recipe sounds like perfection – i love a good beans and rice recipe! I feel like I’m cheating on my Power Cooker lol. It is the best! I can’t put my Instant Pot away. If you don’t have an instant pot than this recipe should be a great reason to get one. Who doesn’t want a bowl of delicious rice and beans in under 35 minutes. What a great recipe! I love the addition of coconut milk in this recipe. It sounds like a filling and delicious side dish. I know my kiddos would love it! I still don’t have an IP but I’d love to try this Haitian rice and beans. Love the idea of serving it with fish! Going to save this recipe for when my IP arrives! I love ribe and beans! 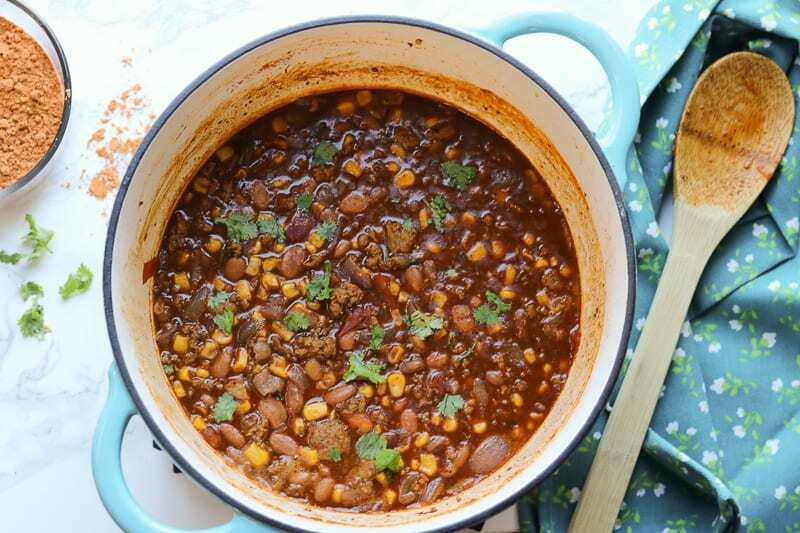 Your recipe for making them in the Instant Pot is a great way to make delicious beans! The flavors in these beans are delicious! I am looking forward to making them. I love that you make this in the Instant Pot — now I don’t have to wait hours for such a delicious recipe! The flavors in here are amazing! Thanks so much for sharing. 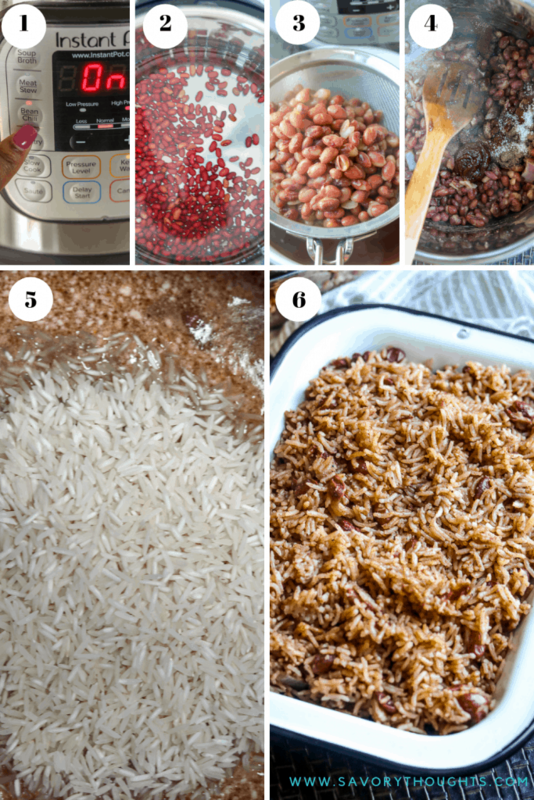 I love recipes that doesn’t take much time to prepare and I love rice and beans!